Lurpak is taking a 26ft Christmas tree made from 500 blocks of Lurpak packaging on a tour of major UK cities. The entire tree is surrounded by a 360° serving area, offering passers-by the chance to indulge in a number of festive dishes, including mince pies, honey & mustard roast ham, a chocolate yule log and crispy roast potatoes, all created using Lurpak. The brand is also giving away some recipe inspiration and free festive baking essentials. 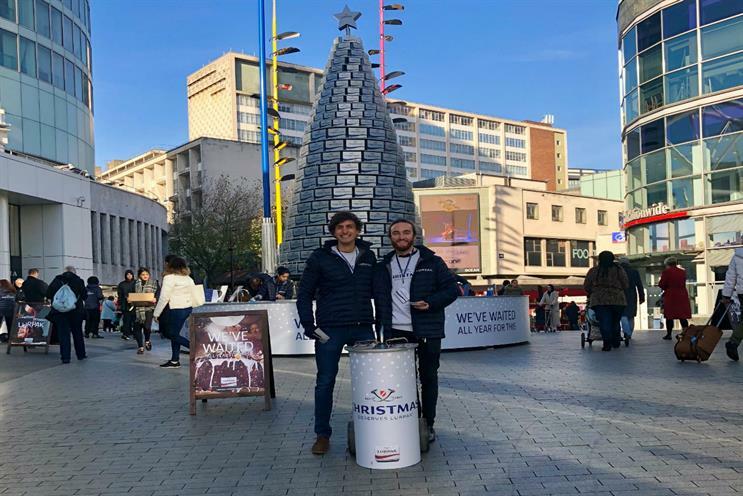 The tour, created by BD Network, kicked off at Birmingham Bullring on 17 November and was staged at Westfield London from 24-26 November and Leeds Briggate on the 1-3 December. It will feature at Edinburgh's Castle Street from 8-10 December, finishing at Covent Garden in London on the 15-17 December.